Check-in begins at 4:00 pm unless early check-in was confirmed and paid for prior to arrival. A valid ID may be required at check-in and must be shown upon request. You will recieve an automated text message on arrival day when your home is available for check-in. Check-out time is 10:00 am for all homes without exception. Departure instructions are in the Twiddy Guest Directory that each guest receives at check-in. Each office has an After-Hours Exchange box for early departures. The office location at which you will check-in is listed on your Vacation Rental Agreement and can also be found by logging in to your Guest Account. 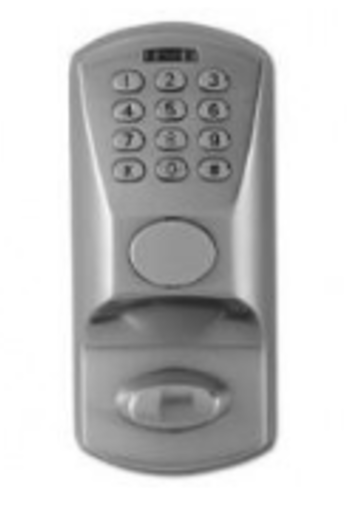 Some homes with keyless entry allow remote check-in and will be stated in your pre-arrival information. All other keyless entry homes will need to check-in at the designated office. Home number prefixes A-G. The Duck office street address is 1181 Duck Road - Duck, NC 27949. Home number prefixes GOL-V. The Corolla office street address is: 1142 Ocean Trail - Corolla, NC 27927. The Corolla mailing address is PO Box 369 - Corolla, NC 27927. Guests staying in Kitty Hawk, Kill Devil Hills and Nags Head homes will check-in at your vacation home. You do not need to check-in at the office. Your vacation home’s address is listed on your Vacation Rental Agreement, your vacation home’s page on twiddy.com, and can also be found by logging in to your Guest Account. The leaseholder will also receive check-in information via email a couple days before the arrival date. If you will be arriving after our office has closed, your check-in packet will be left in the After-Hours Exchange box if your balance is paid in full and we have your signed lease. These boxes are located beside each office's main entrance door. Your check-in packet will contain keys or key code, address and directions to the home, after-hours emergency phone number, and any other pertinent information you may need to get into the home. Guests staying in Kitty Hawk, Kill Devil Hills and Nags Head homes will check-in at your vacation home, even if it is after office hours. Please check your email for check-in instructions and home access details. Remove all food from the refrigerator; set temperature to medium. Please leave all linens on beds and towels in the rooms for which they were provided. Place all trash in the home's outdoor trash receptacles and roll them to the curb the night before the scheduled collection day since trash pick-up occurs in the early morning hours. Some communities offer trash roll-out service. For current trash collection schedules and information, please refer to your Guest Directory or the trash and recycling section of our troubleshooting guide. Load and start the dishwasher. Set thermostat to 72° for air conditioning or 55° for heat. Check all rooms, closets, dressers, and outside areas for personal belongings. Twiddy is not responsible for lost items. Tidy up outside including the decks, yard, and pool area, if applicable. Clean the grill with the brush provided. Return keys to your check-in office. Please note there is a $5.00 charge for lost keys. Guests departing keyless entry homes do not need to come to our office for check-out, but entry codes will expire at 10:00 am. A limited number of 1:00 pm check-ins are available for a nominal fee. Requests must be made by contacting our office and paid for in advance prior to arrival. We cannot offer this service for certain homes, including those with seven or more bedrooms or homes occupied by owners the preceding week. Please contact our office to confirm availability and arrange to have early check-in added to your reservation. Upon arrival, you will receive two keys in your check-in packet. Return keys to your check-in office by 10:00am on the day of departure. Each office has an After-Hours Exchange box for early departures if you will be leaving before our office is open. Upon arrival, you will receive a keyless entry code in your check-in packet. Codes are active at 4:00pm on the day of arrival, or at 1:00pm if early check-in was previously arranged. Guests departing keyless entry homes do not need to come to our office for check-out, but entry codes will expire at 10:00am on day of your departure. Press buttons firmly and one at a time. A successful keystroke yields a brief green flash and beep. A red flash indicates an error. Wait until the flashing stops before your next attempt. A sustained green flash and beep indicates a successful code entry. Turn the deadbolt or push down the lever to unlock the door. If you turned the deadbolt, you may now turn the doorknob to open the door. Enter your code as shown on your packet (XXXXX including * or #) and turn the deadbolt knob on the lock while the light is green. Turn the doorknob to open the door. Enter your code as shown on your packet (XXXXX including * or #) and push the handle down while the light is green to unlock and open the door. 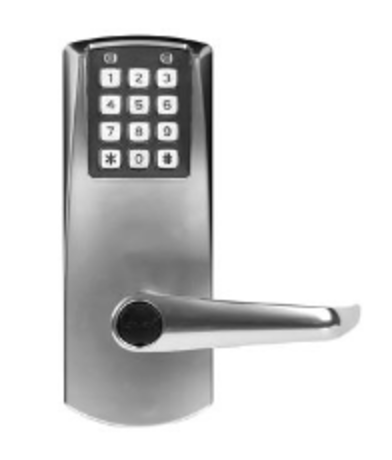 Automatically locks when door is closed.